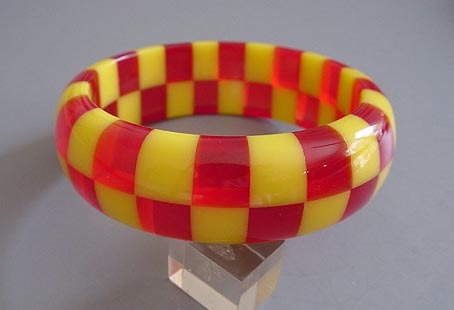 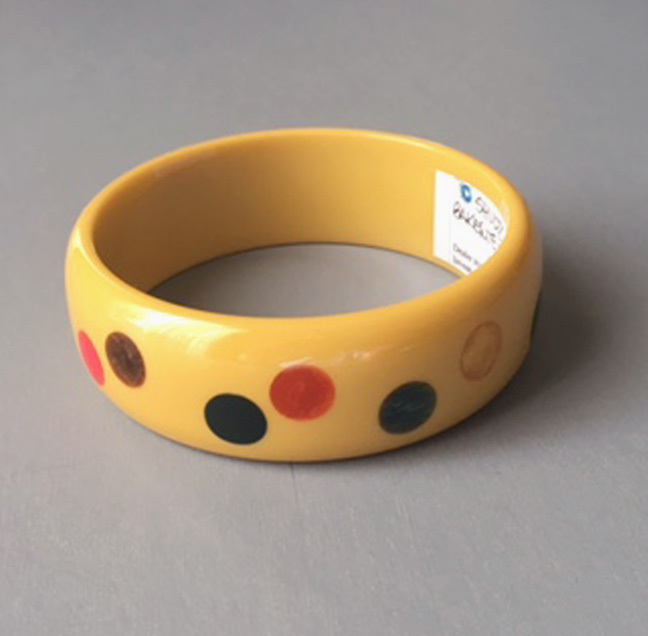 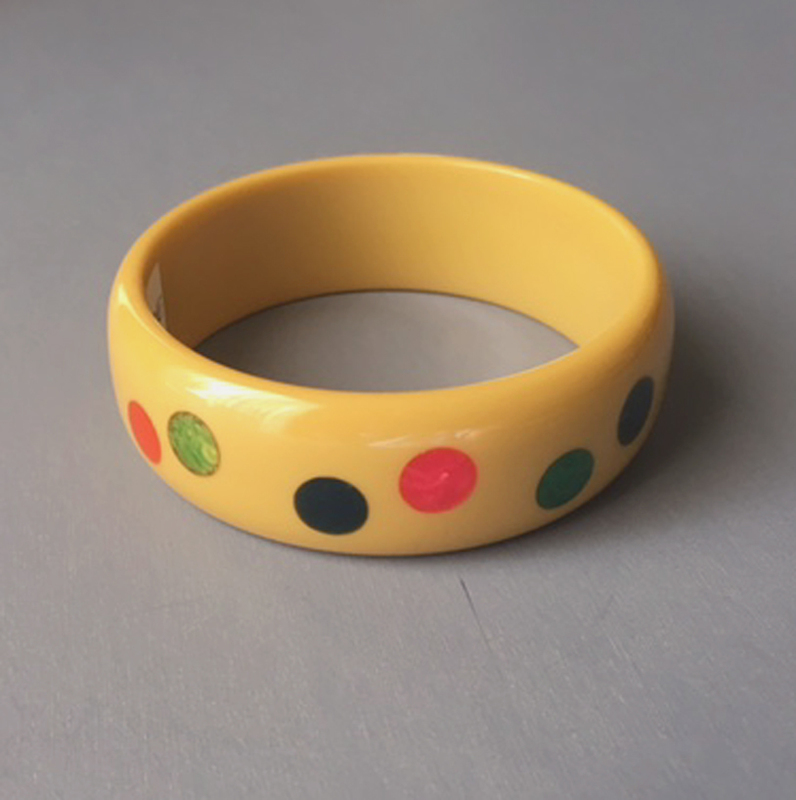 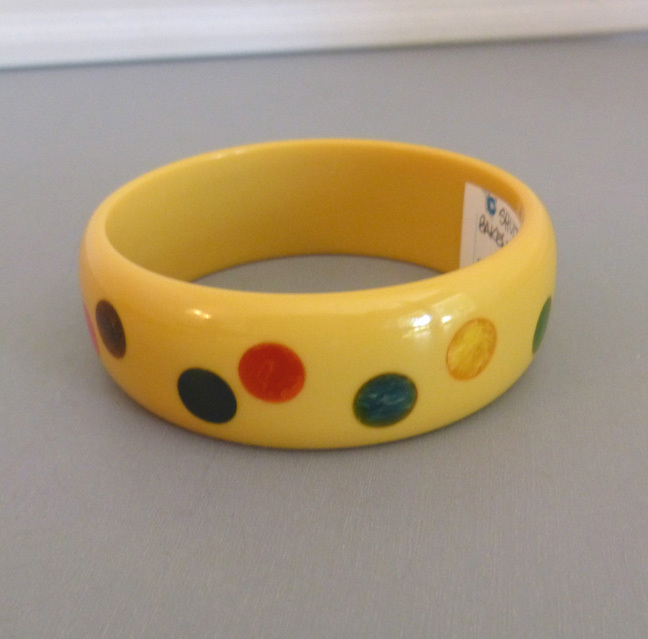 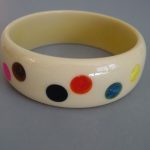 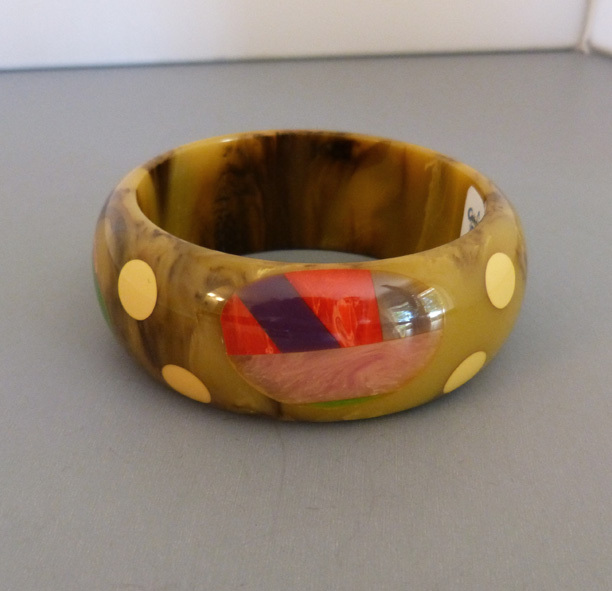 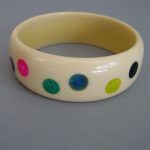 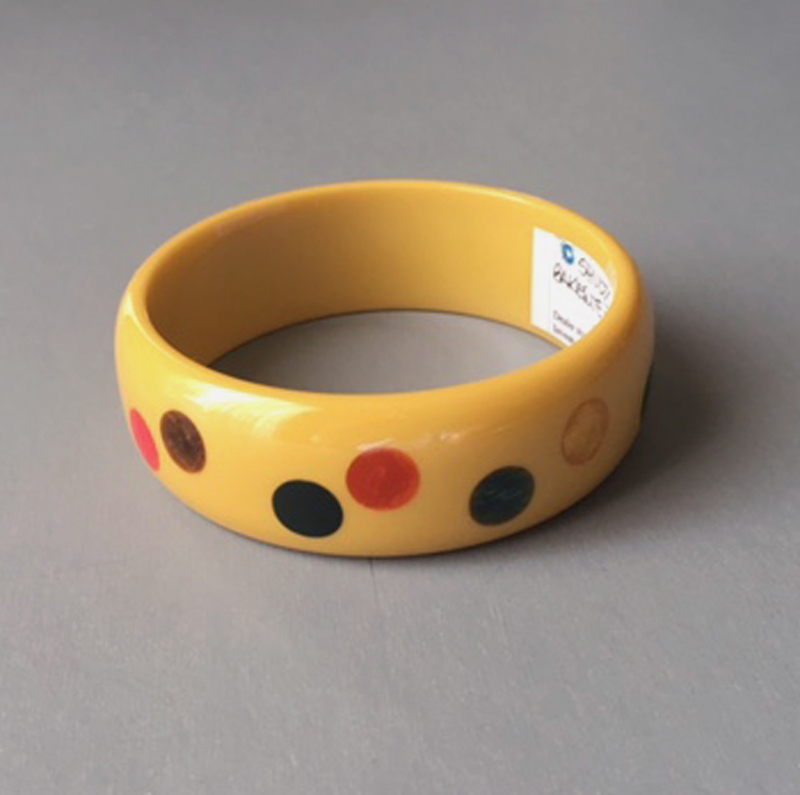 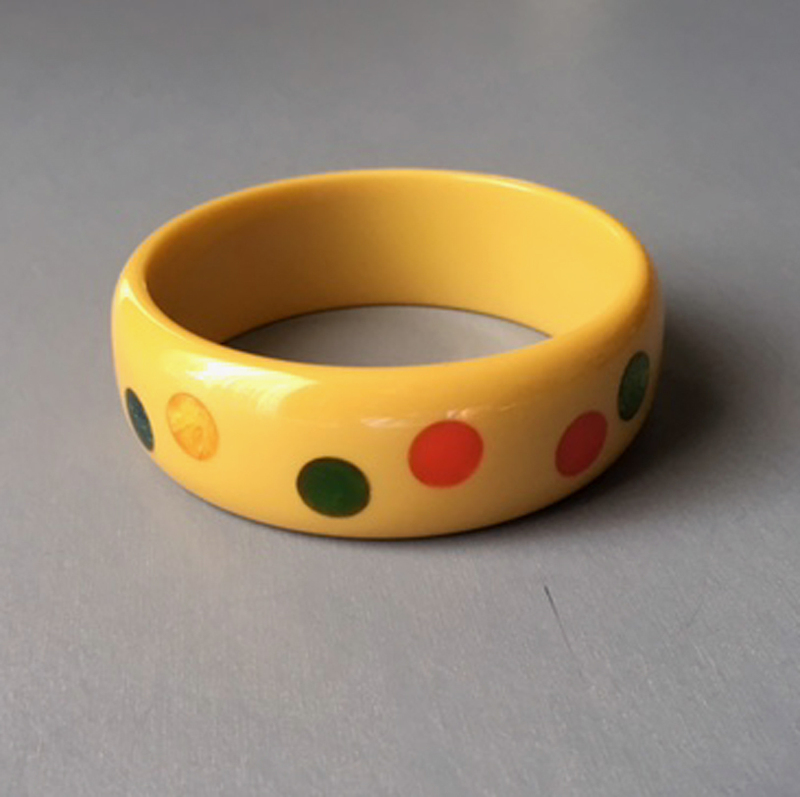 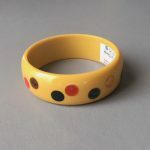 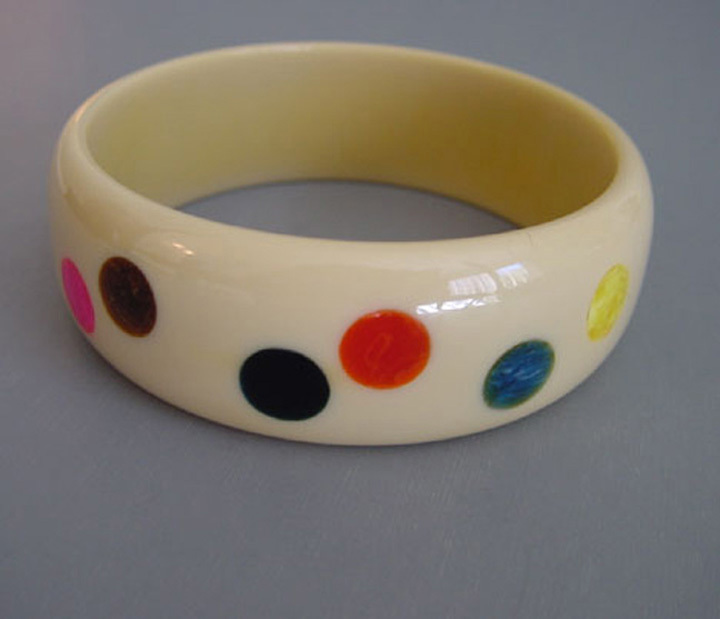 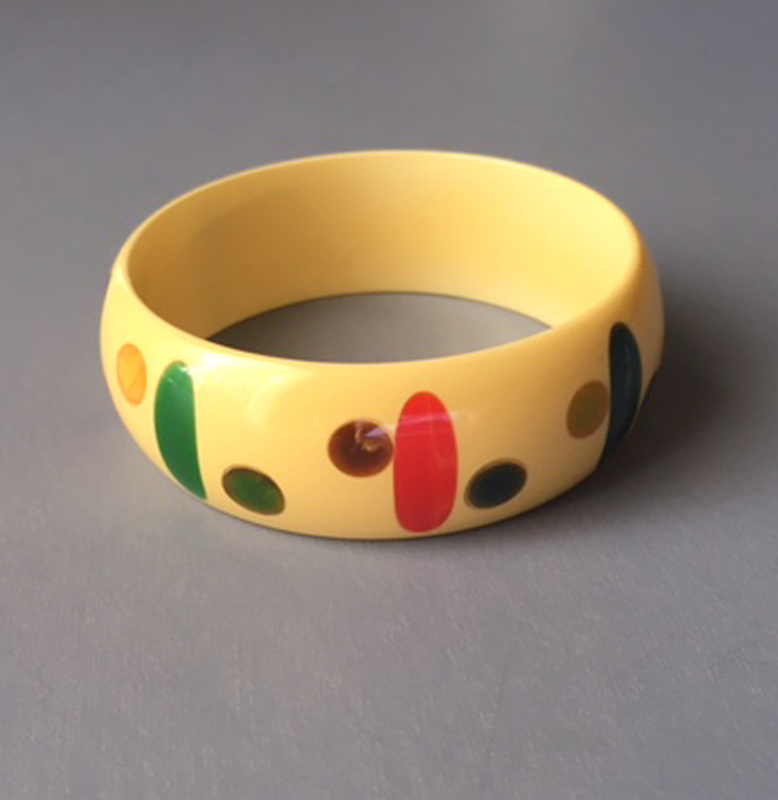 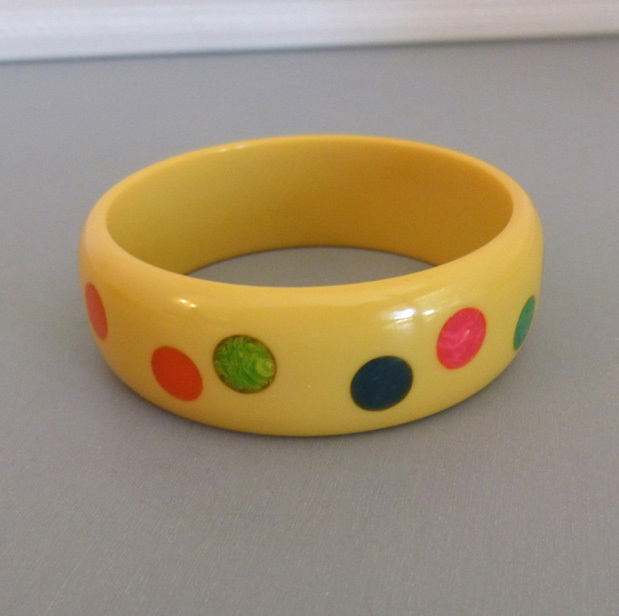 SHULTZ bakelite tan bangle with colorful dots, 2-1/2" by 1" by 1/4". 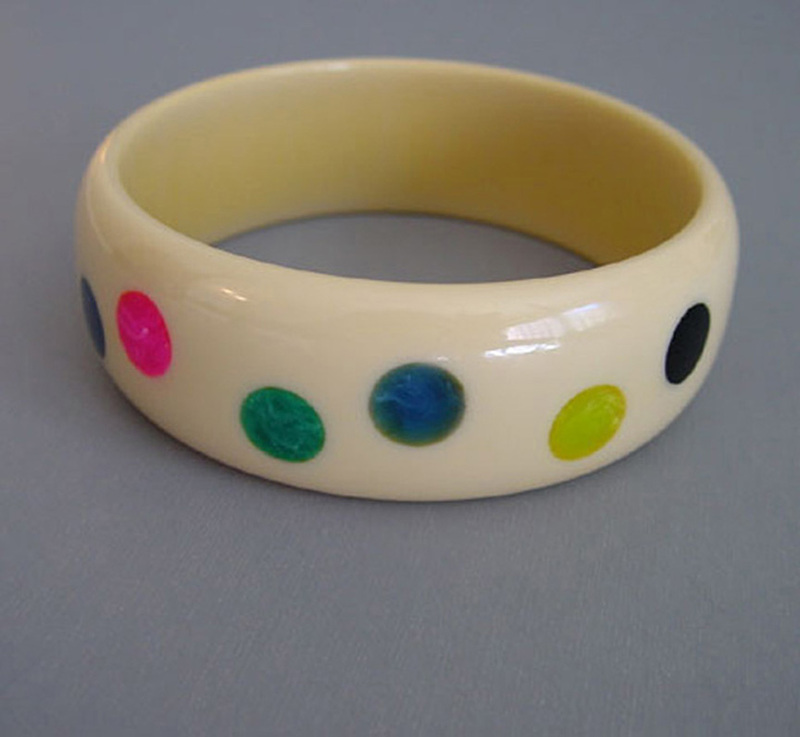 This one has been in my personal collection and, over time, it has turned from white to a deep cream, as you can see in the progression of photos. 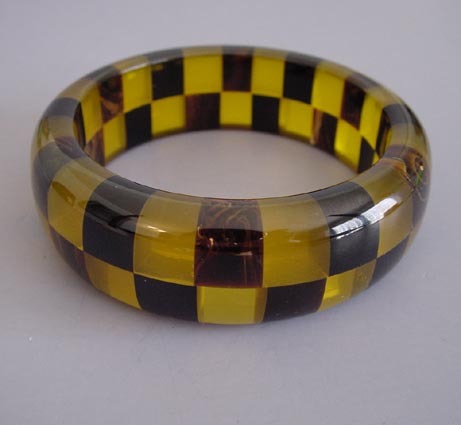 That is what genuine vintage bakelite does, and part of the fun of owning it.